On the morning of Friday February 12, 2016, two people were seriously injured as a result of a motor vehicle collision in the Bryan-College Station area. According to officials, the car accident took place near the intersection of Harvey Mitchell Parkway and Raymond Stotzer Parway. Authorities stated that Tucker Ford, a 25 year old male of College Station, Texas, was driving a Ford Explorer northbound on Harvey Mitchell Parkway. It appears that Mr. Ford was attempting to make a left turn on to Raymond Stotzer Parkway. Police officials have said that Tucker Foird failed to yield right of way to another 38 year old driver, Josie Coverdale. Ms. Coverdale was driving a Ford Fusion vehicle in a southbound direction on Harvey Mitchell Parkway. It appears that Mr. Ford pulled out in front of Ms. Coverdale, which caused Ms. Coverdale’s Ford Fusion to hit Mr. Ford’s vehicle on its side. The collision occurred with such force that Tucker Ford that emergencey officials with the fire department had to use special equipment to remove Mr. Ford from his vehicle. The intersection at Harvey Mitchell parkway and Raymond Stotzer was closed by emergency officials for one hour after the collision had taken place. Officials also stated the Mr. Ford and Ms. Coverdale were both transported to local hospitals in the area. It goes without saying that motor vehicle accidents can be extremely dangerous and a substantial portion of drivers will be involved in a motor vehicle collision during their lifetime. Every year thousands of individuals and families in Texas suffer from injuries and damages caused by the negligence and carelessness of another driver. Individuals injured or killed as a result of a motor vehicle collision can be left with substantial medical bills and out of pocket expenses. These injuries and expenses can leave a person in a stressful situation with many unanswered questions. In Texas, an injured party or their families do have recourse through the civil court system of this State. However, it is very important that driver and passengers in the State of Texas know what to do when they are involved in a car accident, whether minor or severe. When a individual is injured in a car accident the next few moments are crucial regarding the implications concerning a potential claim against the at fault driver. Because car accident generally cause a significant amount of stress in the moment immediately following the accident, it is important to know what to do before you are involved in a car accident. Knowing the five things listed below will provide a very general overview of what to do after you have been involved in a motor vehicle collision. Even if your injuries and damage are minimal, you should always call the police so that they can have an accident report filed. Moreover, the shock of just being involved in a car accident may cause you not to realize the severity of your injuries resulting from the car accident. Also, the most important concern after a car accident is the health and safety of not only you but all other individuals involved. It is always better to be overly cautious than to not take the situation as serious. Additionally, when there is not a police accident report made determining fault becomes much harder in many instances. A police report made by a neutral police officer serves many purposes. First, the police officer is trained to determine the cause of an accident. Second, the police officer is a neutral party who can provide an objective view regarding the cause of the accident. Without a police report, it is hard to determine fault because the two parties involved will point their finger at each other or change their stories as time progresses. never admit you are at fault. Get names, pictures, phone numbers, and insurance information. This is always important as it could be hard to determine after the fact, as drivers of vehicles are not always the owner of the vehicle. If down the road, a civil lawsuit seems necessary, an injured party will need to know who the actual driver of the vehicle was. Also, make sure and get all the witnesses’ names, phone numbers, and addresses. If you fail to get the witness information at the time of the accident it can be almost impossible to get this information at a later time. Also, make sure to take pictures of your vehicle and all other vehicles involved in the accident. It is also beneficial to take photos of the scene of the accident. Never admit you are at fault. This can be easy to do in the minutes immediately following an accident. Simply saying, “I’m sorry” may be construed later as admission to fault. This is one of the most common mistakes made following an accident. You should always check on the health and safety of all parties involved, but do not admit you were at fault for the accident when you were not. You may not need an ambulance for a minor collision, but it important to seek medical care in the days following the accident just to make certain you are in fact ok. Also, tell the investigating officer that you will seek medical treatment by your primary care physician. 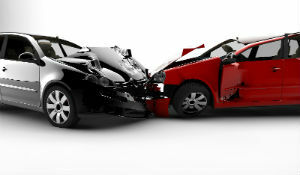 Further, make sure you actually go to the doctor or medical facility within a short time frame following the accident. This is very important, as insurance companies will argue that they should not pay for medical bills if there is a large gap between the accident and the time you started treating. The attorney’s office will be able to answer any questions you have and help you deal with the at fault party and any insurance companies involved. Attorneys are very familiar with these situations and know what to do. Remember the insurance company begins making their case against you as soon as they are notified of the collision. It is important that you have someone with experience in your corner fighting for your rights. The accident near Bryan-College Station without doubt caused the parties involved a considerable amount of grief and pain, not to mention out of pocket expenses. In situations such as this, it is important to have a knowledgeable attorney who knows what to do to get fair compensation for all of the injuries and damages suffered as a result of another’s wrongful actions. Fears Nachawati Law Firm has represented many individuals and families in similar situations as this. Fears Nachawati is dedicated to providing the best legal representation possible and will fight for the rights of individuals injured due to someone else’s carelessness. If you or someone you know has been injured as a result of another’s wrongful conduct please contact Fears Nachawati Law Firm so our knowledgeable attorneys and staff can fight for your interests.